While many NFL players are refusing to stand during the national anthem, Cincinnati Bengals tight end Tyler Eifert made it clear he won't join in on the protest. "I stand because I want to honor the people putting their lives on the line for me on a daily basis in the Army, Navy, Marine Corp, Air Force, and Coast Guard. "I stand because my cousin is a pilot in the United States Air Force, risking his life flying F-15s in active war zones. He takes pride in his job protecting Americans, a sacrifice that all members of every branch of the United States military willfully take." Former San Francisco 49ers quarterback Colin Kaepernick began the protest when he remained seated as the national anthem played before a preseason game. He told NFL Network's Steve Wyche he wouldn't "stand up to show pride in a flag for a country that oppresses black people and people of color." Seattle Seahawks defensive end Michael Bennett sat on the bench prior to the Seahawks' preseason opener against the Los Angeles Chargers. In explaining his decision, Bennett said his act wasn't a sign of disrespect toward the U.S. military. "First of all, I want to make sure that people understand I love the military. My father was in the military," he said, per the Guardian's Tom Lutz. "I love hot dogs, like any other American. I love football like any other American. But I don't love segregation. I don't love riots. I don't love oppression. I don't love gender slander. And I just want to see people have equality that they deserve." 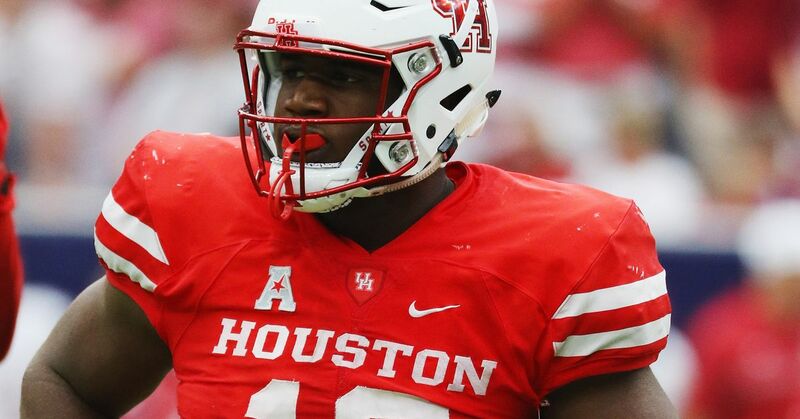 Is Ed Oliver the Next Great Bengals Defensive Lineman?